Donate one-time only to the Ministry or monthly by joining the Luke 5 Club. 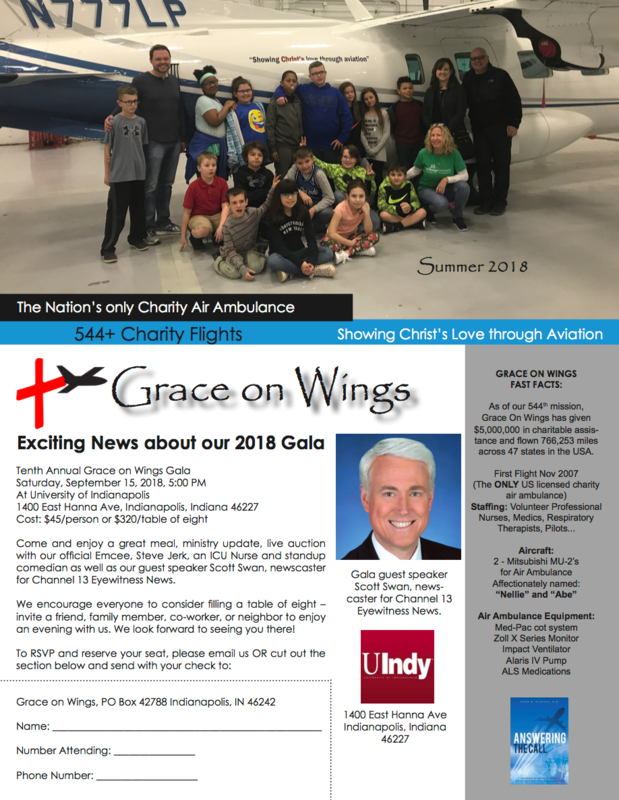 Your one-time or monthly contribution assists Grace on Wings in being a friend to the helpless and providing hope to individuals and families needing air ambulance services. The effect of this service and ministry not only touches the individual patient, but family, friends and entire communities. Our goal is to show Christ’s love through aviation. Grace on Wings is a 501 (c) (3) charitable organization working for Christ. All donations are tax deductible. A copy of our 501 (c) (3) letter or the most recent Federal Form 990 Report are available upon request. Grace on Wings keeps all donor information confidential. Any and all information given will be used only by our staff, we respect your privacy. Please select a dollar amount for your donation or click the other button to enter a specfic amount.